From weddings and receptions, to birthday parties or family reunions, The Orchard Restaurant, events barn and guest cottage offers visitors a chance to escape from the hustle and bustle of their every day and relax while enjoying exceptional dishes prepared with fresh, locally-sourced mountain ingredients. Historical artifacts decorate the walls of the renovated 1900s farmhouse that serves as the main dining hall. 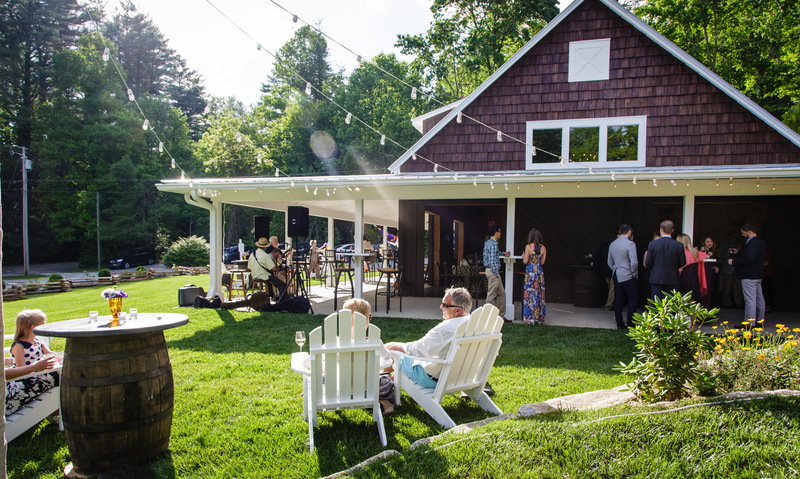 In warmer seasons, guests are invited to enjoy The Orchard's famous Venison Carpaccio, Appalachian Trout Almondine or the 107 South Bacon-Wrapped Filet outdoors on the patio while overlooking the bountiful apple orchard. Any menu item can be paired with a bottle of wine from the cellar, which features over 60 choices of fine wines with a focus on the New World and California wine regions.